The Canadian Language Benchmarks (CLB) is a 12-point scale of English as a Second Language (ESL) proficiency. It was first published in 1996 and is managed by a Centre for Canadian Language Benchmarks. Stage III: Advanced Proficiency (9-12 points). The language tests based on CLB benchmarks cover four skills: listening, speaking, reading, writing. Workplace Language Assessment (WLA) and The Canadian Language Benchmarks Placement Test (CLBPT) are the most popular low-stakes exams. The Canadian English Language Proficiency Index Program (CELPIP) and Canadian Academic English Language (CAEL) are the most relevant high-stakes exams. 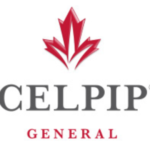 CELPIP is one of only two English proficiency tests which can be used when applying for permanent resident status in Canada (together with IELTS). In a similar way the CELPIP is using CLB, the TrackTest English Proficiency Test uses the CEFR scale. TrackTest results and English language certificates are available immediately after the completion of the level tests. The evaluation of the optional English speaking test is delivered 6 days after the test completion. TrackTest English certificates are valid for lifetime. Results available In 7-8 days Immediately (the Speaking&Writing exam in 6 days).